NEW OLD STOCK OF ALICE PACKS ARE GETTING HARD TO COME BY SO I DON'T HAVE ANYMORE TO SELL. I WILL KEEP THIS PAGE GOING FOR THE LINK TO THE ALICE MANUAL WHICH SEEMS TO BE VERY POPULAR. 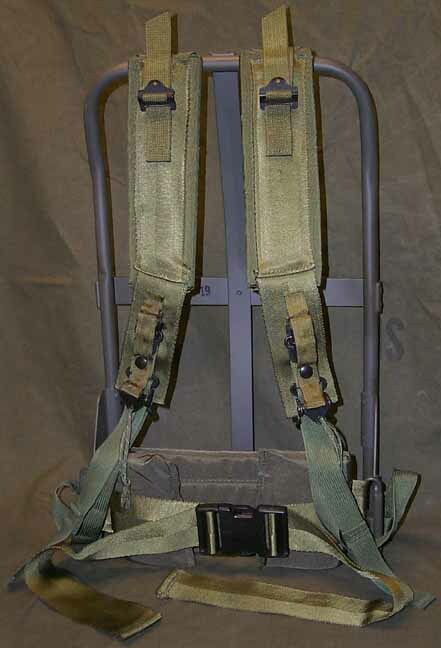 The Army standard since the Vietnam War, the LC-1 Large Combat Field Pack is capable of handling extremely large and heavy loads from 50 to 70 lbs while maximizing personal comfort and mobility. 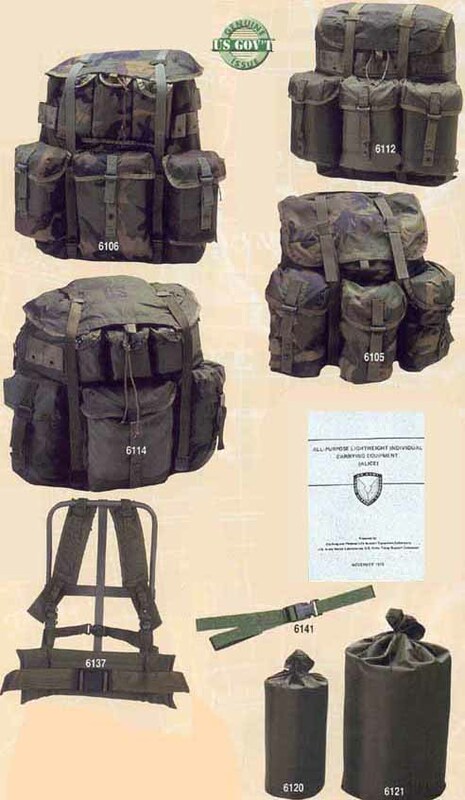 It is designed for the soldier to carry fighting or existence loads and the equipment needed for various field conditions. 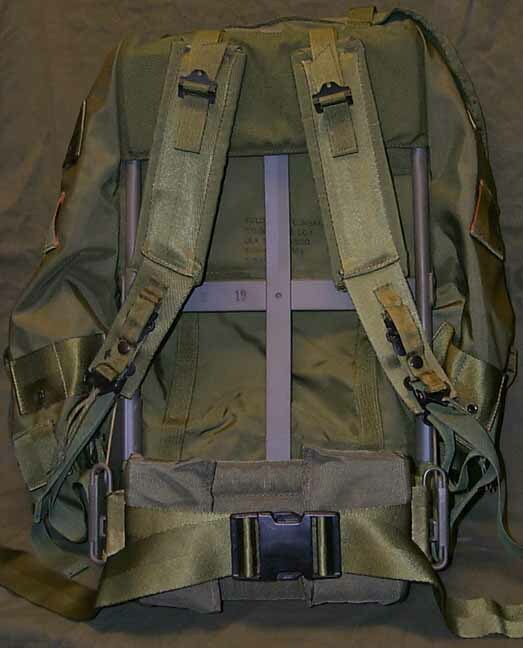 Has a large internal packsack, three external cargo pockets with cinch buckles, 3 small pockets with snap flaps, a VelcroÂ® closing top pocket, and lashing or gear attachment patches for additional equipment. The pack is made to Mil-Specs of water-repellent but not waterproof 420 denier military nylon duck. GIs are issued four waterproof liners with each pack: one large (size 3) for the main compartment and three small (size 1) for each of the three large external cargo pockets. External three large quick opening cargo pockets & three small, one inside radio compartment with cinch buckle, one VelcroÂ® closing pocket in the pack's top flap. Measures 22" x 20" x 19". Capacity 50 to 70 lb load. 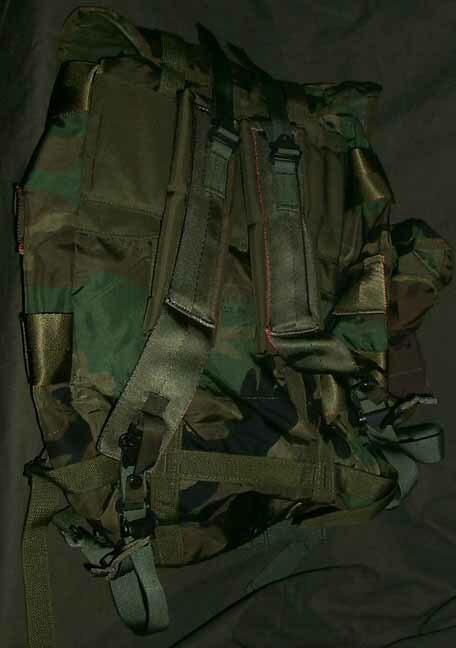 Comes in Olive Drab or Woodland Camo. 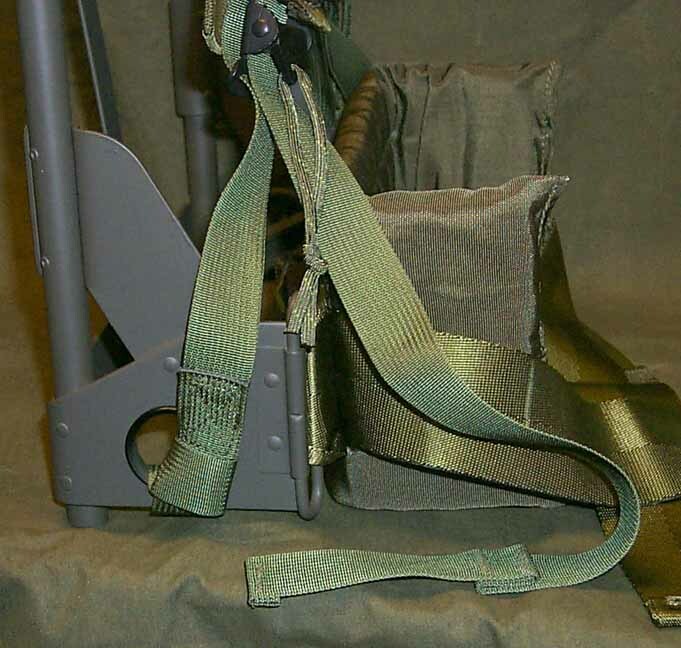 LC-2 Load Carrier Frame with Hip Belt & Shoulder straps required for use. 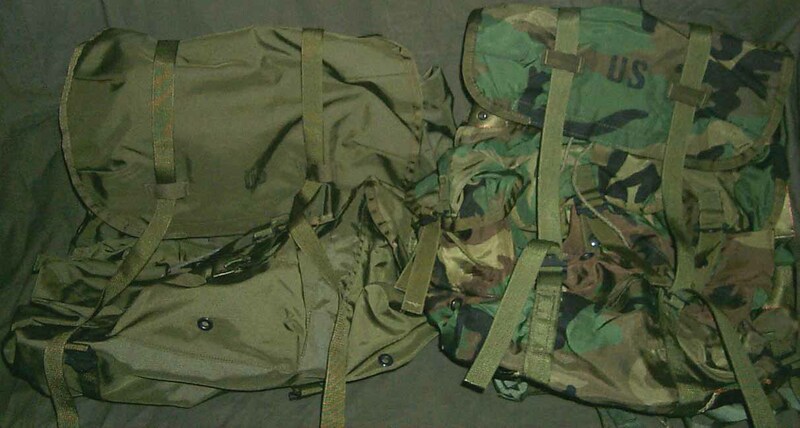 The Alice LC-1 Medium Combat Field Pack is capable of handling loads up to 50 lbs. 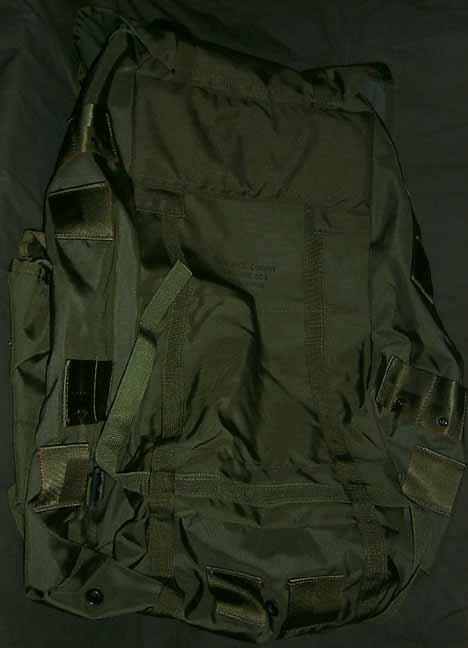 It is designed for the soldier to carry fighting or existence loads and the equipment needed for various field conditions. Three external cargo pockets with cinch buckles, VelcroÂ® closing top pocket, lash attachment patches increases loading capacity for additional equipment. 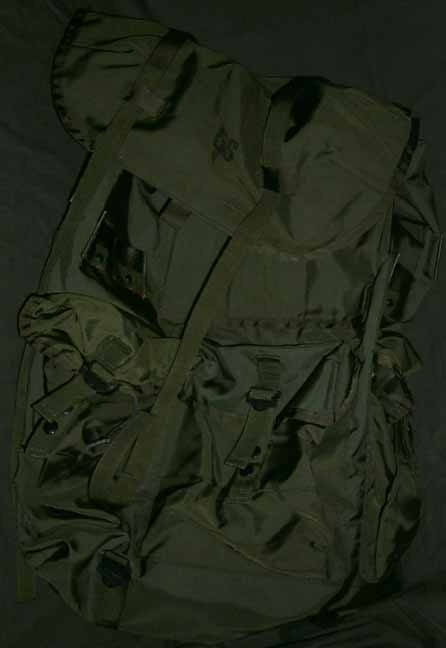 The pack is made to Mil-Specs of water-repellent but not waterproof 420 denier military nylon duck. GIs are issued four waterproof liners with each pack: one large (size 2) for the main compartment and three small (size 1) for each of the three external cargo pockets. 3 outside quick opening cargo pockets, inside radio compartment with cinch, VelcroÂ® closing pocket in the pack's top flap. Has Internal straps to shorten pack if total volume not necessary. Measures 19" x 20" x 11". 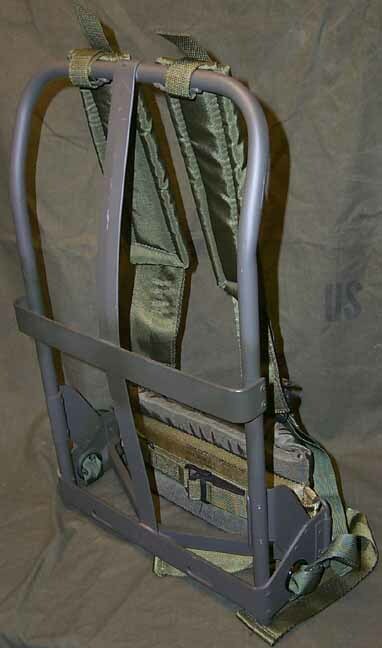 The lightweight LC-2 Load Carrier anodized aluminum one size fits all frame in conjunction the load bearing padded shoulder straps and improved waist pad ideally distributes much of the carried load through the shoulders and hips for greater comfort. The adjustable waist pad conforms to the spine for added comfort and support, and has the new style plastic quick-release buckle. (shown with optional 6141 Quick Release Sternum Strap). 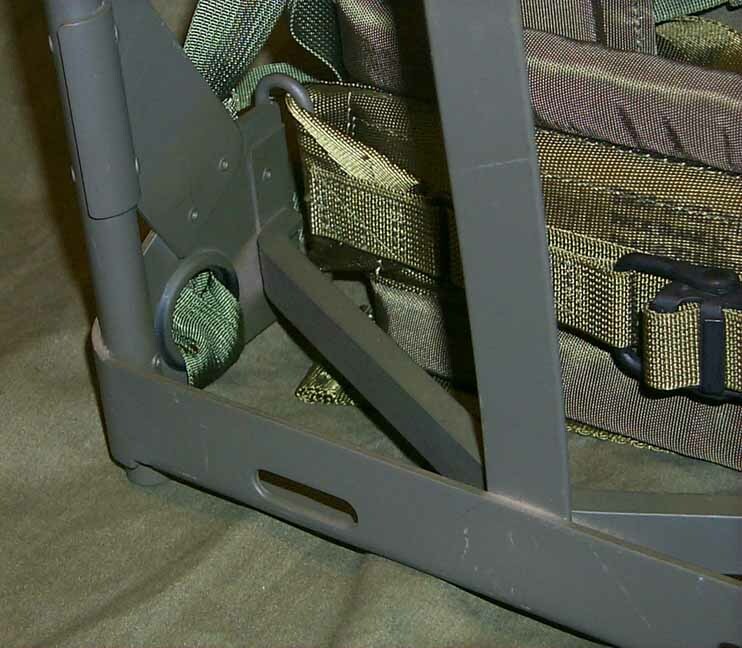 The top of the frame fits into a pocket on the back of medium and large LC-1 packs, and is secured at the bottom of the packs by webbing and buckles. Required support to the Large LC-1 Pack. Optional support to the Medium LC-1 Pack. 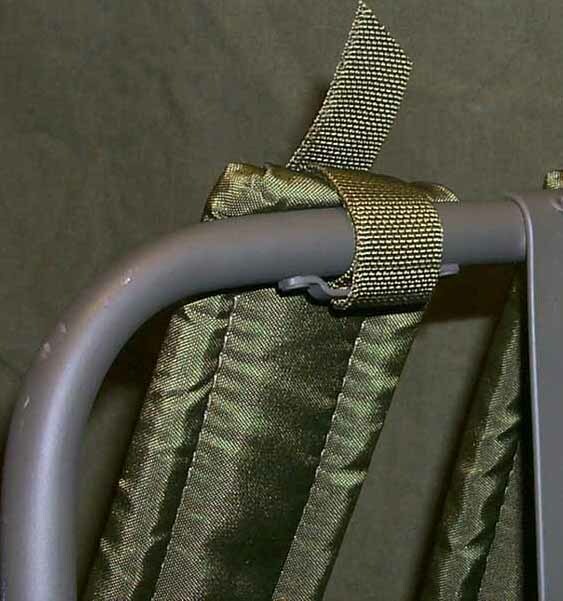 Riveted Olive Drab anodized aluminum tubing. LC-2 Frame when used to carry a load with the cargo shelf attached to it. 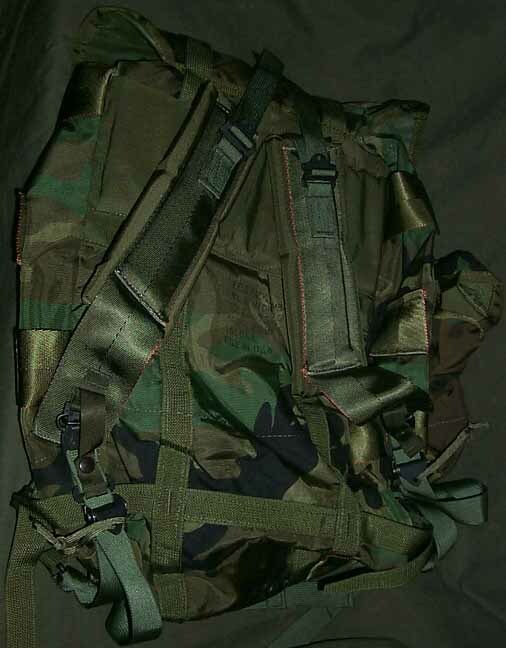 LC-2 Frame with Large pack attached to it. Medium pack without the LC-2 Frame. LC-2 Frame with Medium pack attached to it.